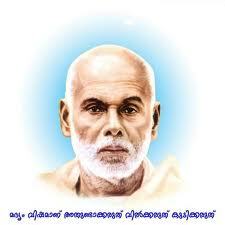 Kerala is celebrating 158th Jayanthi of Sree Narayana Gurudevan today. 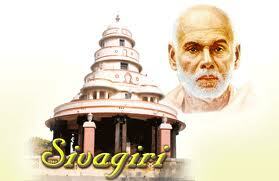 The celebrations are being jointly organised by the SNDP Kollam Union and the SN Trust. The message of this year’s celebrations is a call to make Kerala a model State. 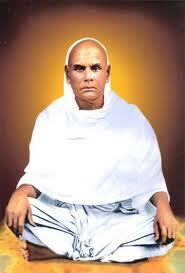 Kerala witnessed the birth of this great saint and social reformer in the year of 1856, Malayalam month Chingam on the Chathayam star. Gurudevan is revered for his vedic knowledge, poetic proficiency, openness to the views of others, non-violent philosophy and most importantly his unrelenting resolve to set aright social wrongs. He was instrumental in setting the spiritual foundations for social reform in the Kerala and was one of the most successful social reformers who tackled caste in India. He demonstrated a path to social emancipation without invoking the dualism of the opressed and the opressor. Gurudevan stressed on the upliftment of a community through its own efforts by the establishment of schools and temples.His transformation of the social face of Kerala relied on emphasizing the Adwaita philosophy of Sankara. Sree Narayana Guru’s teachings and leadership prevented the exodus of conversion to Christianity and the unification of Hindus, who were divided on the basis of caste and sub-castes. Kollam union secretary N. Rajendran told presspersons that the city would be given a festive look with yellow flags and festoons. 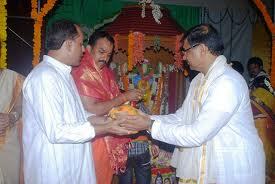 All Sree Narayana Madirams under the union would be illuminated. 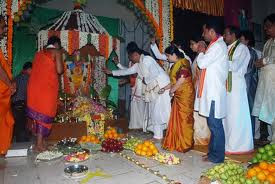 The Sree Narayana College grounds would be the main venue of the celebrations. At 8.30 a.m. on August 31, union president Mohan Sankar would hoist the Yogam flag at the venue. 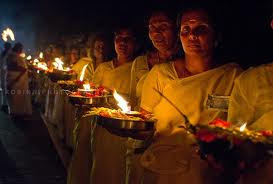 The traditional colourful Jayanti procession would begin at 5 p.m. from the Sankar Hospital complex. The procession would be led by the leaders of the union, the Sree Narayana Youth Movement, the SNDP Vanitha Sangam, the Balajana Yogam and the SN Trust. The procession would comprise floats to be put up by all the 70 branches under the union, SN College, SN College for Women, Sankar’s Hospital, VNSS College of Nursing, SN Trust Higher Secondary School and Sree Narayana Public School. 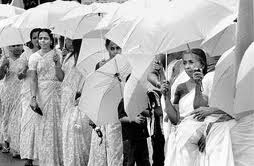 Caparisoned elephants and performing folk artistes would add colour to the procession which would pass through Chinnakada, Convent Junction, Main Road, Chinnakada over bridge, the Railway Station Road and culminate at the SN College grounds by 6.30 p.m. A conference to be followed would be inaugurated by KPCC president Ramesh Chennithala. CPI State secretary Pannyan Ravindran would deliver the Jayanti message. 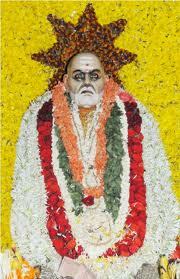 Wish you a Very Happy Guru Narayan Jayanti.